Command Prompt Alternative for Windows PC is needed for advanced Windows PC users who mostly uses UNIX commands and seek a more flexible Command Line Tool. The default Command Prompt neither looks great not supports the minimum need like syntax highlighting. With some GNU add-ons we can extend the usability of Command Prompt as a Command Line Tool, but users who wants or forced to stick to use Windows PC probably seeks a good Command Prompt Alternative for Windows PC. You can check this guide on Installing WordPress on Windows PC using WAMP, where we have used Windows Command Prompt almost like UNIX bash. So this is as a bunch an alternative option if you love the default Command Prompt for some reason or other. Another good alternative way is to either make your Windows Dual booting with Ubuntu (Ubuntu has official package that handles the boot loader option) or to use Ubuntu Live version and the bash / shell of Linux. People probably wants a translucent command line tool with all features which somewhat Git Bash for Windows offers for Git. The number of Command Prompt Alternative for Windows PC has probably reached triple digit, you can search in various free software and Open Source software repository, you will find many. But, not all are actually that great. This is the reason we have listed only few Command Prompt Alternative for Windows, which probably works better. 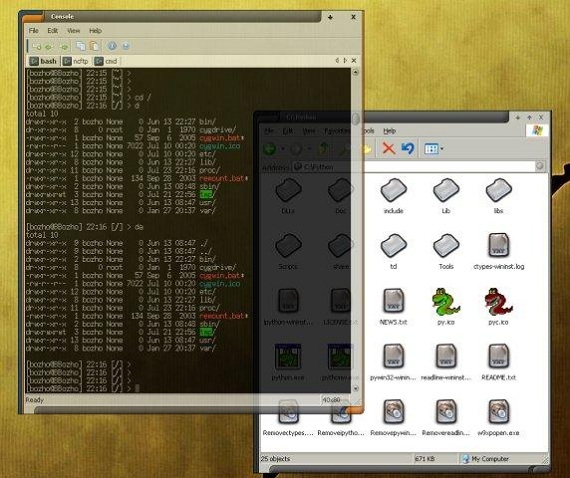 Console : Console is probably one of the most talked about Command Prompt Alternative Software. Console has multiple tabs, text selection, different background, alpha layer and color-key transparency, configurable font etc. You can download Console from here at Source Forge. msysGit : msysGit is not Git for Windows. It has other many features and is under development. You can check their GitHub Project here. ConEmu : ConEmu is distributed as msi package. 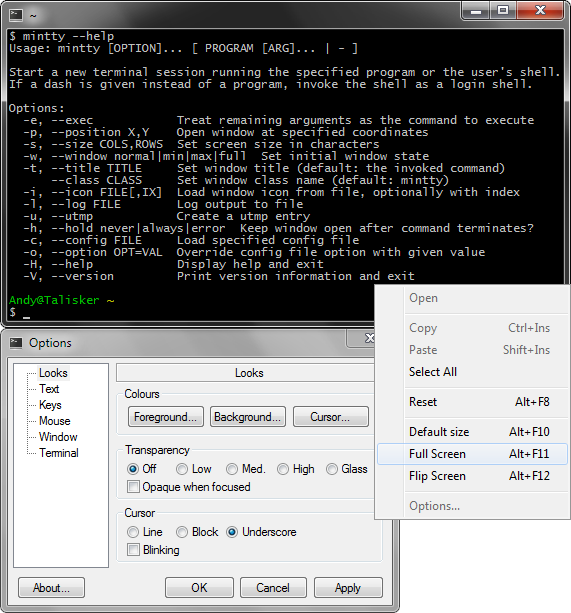 ConEmu implements extended console feature.ConEmu can be used with any other console application or tools like PuTTY. ConEmu on Google Project is here. Mintty : Mintty is a terminal emulator for Cygwin and MSYS. Mintty supports Window transparency, including glass effect on Windows 7. You can download Mintty from Google Project. It do not have GNU GPL License and we are not sure about purchase option. Cygwin : Cygwin is a Unix-like environment and command-line interface for Microsoft Windows. We mentioned on the linked content above. This ends the small list of Command Prompt Alternative for Windows PC. There are many, but probably one among these are enough for most users. This Article Has Been Shared 2586 Times! After reading this tutorial, you will be able to add a right click custom named menu and cascading list of submenu of websites of your choice with icons of your choice in Windows 7. After reading this tutorial, you will be able to add a right click custom named menu and cascading list of submenu of folders of your choice with custom icons in Windows 7. ConEmu is available as *.7z package and *.tar.xz package prepared for MinGW (may be downloaded from sourceforge). Cite this article as: Abhishek Ghosh, "Command Prompt Alternative for Windows PC," in The Customize Windows, September 23, 2012, April 26, 2019, https://thecustomizewindows.com/2012/09/command-prompt-alternative-for-windows-pc/.